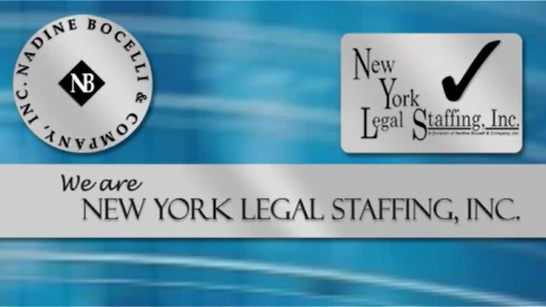 Litigation Associate Attorney – (White Plains) – Nadine Bocelli & Company, Inc. – New York Legal Staffing, Inc. Established White Plains, New York law firm is looking to hire a litigation associate attorney with a minimum of 2-4 years of litigation experience on a diverse set of cases. Clients are in the public and private sectors located in Westchester, Putnam and Rockland Counties. Excellent writing skills required. Draft pleadings, motions and discovery demands. Walking distance to Metro North or reimbursed on-site parking. Salary commensurate with experience. Generous benefits package.